Welcome to the Spring Vegetable Garden Planting Guide. As we all know, Spring is one of the busiest times of the year in the garden and a great time for the planting of a whole range of vegetables that don't cope with Winter frosts; like tomatoes, capsicum, and cucumber. The following planting guide is for the Melbourne area and surrounds, where the climate is referred to as being temperate. If you'd like some assistance with the maintenance or replanting of your vegetable garden, or perhaps some new garden beds, Yummy Gardens are more than happy to help. Contact us with your enquiry, or call 0431 382 230. 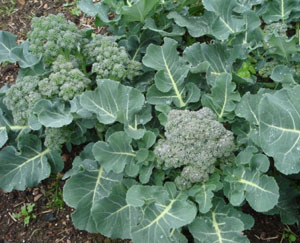 Months marked in green are suitable for planting any of the following vegetables.